Would you like to see more GameCube controllers produced after the Smash Ultimate one? Hey everyone! Whether you are looking for a fresh controller to play or you want something a bit more flashy, this thread is for all of you. Following the success of my first guide (21k views! ), and to celebrate the birth of a new Smash game and a new controller, I'm writing a new one. This time around, I will be featuring my collection, which is almost complete, for all the stock pictures. Feel free to use them for whatever. For each controller, I will provide a price, the date of release and region(s), what kind of stickbox it has*, a quick description fitting the controller and of course a pretty portrait... Please note that the prices are an approximation of how much the controller goes for in decent condition. Variables will be described in the description. There are three kind of stickboxes. T1, which were the first kind, T2, and T3. T1 are made of a metal casing with black plastic parts inside. It's considered to be the worst because it wears out very fast, I would not recommend for competitive play. T2 are also made of a metal casing but uses white nylon parts, which are more resistant to friction and last longer. T3 are by far the best: made entirely of nylon, easily interchangeable because they are screwed onto the motherboard instead of soldered on, and they are extremely resistant to wear. Those were made by Hori. While it is the oldest controller, it is still the one most players use, as it is the most common out there. You can easily find them for $20 used on eBay or even lower locally. 17 years and still kicking. All the wired controllers are labelled DOL-003. More uncommon in the US because it was only sold separately, but there's plenty from Japan. You can easily find them for $30 more or less on eBay. For some reasons this one wasn't released in Europe. Released all over the world separately and coveted for its transparent back shell, you'll have to invest a little bit more to get this one. Like the Spice Orange this one comes with only T1 stickboxes which aren't the best, but you can swap the internals with a good Indigo one since the plug ends are the same colour. It is mostly used in the customization community for LED mods or tinted shells - very pretty. At first supposed to be a limited edition in the US, it quickly became one of the most common controllers with its production ending in 2012. I highly recommend this one for competitive play because it only comes with good parts. Search locally and you'll find great prices. If you want a tip for buying controllers on the internet, check the condition of the screws on the back; if they're clean this controller hasn't seen much use. You can't go wrong with this one either, a beautiful colour with a reliable build. It was only released in Japan and you'll have to pay about twice as much as a common controller. If you are patient you can even find some in the $30 range. Very coveted by competitive players until the prices for a new one went absurdly high. While they're pretty much unpurchasable on Amazon nowadays, the used Whites on eBay stayed on a stable $40 price range for more than three years. Since they were released in 2008, they haven't seen much use and are a very good choice for a new controller. Easily the highest quality and most consistent controller out there. This one is an anomaly. While some times you can get them from as low as $40, for a few month's drought I could not find one for under $80. For a very inconsistent price, a very good controller, and highly in demand for its transparent shell. Modders love to fully tint the shell to mimic the N64 Funtastic colors or other creative projects. The paint on this controller is so fragile that the ones on the market are all damaged, mostly on the back. 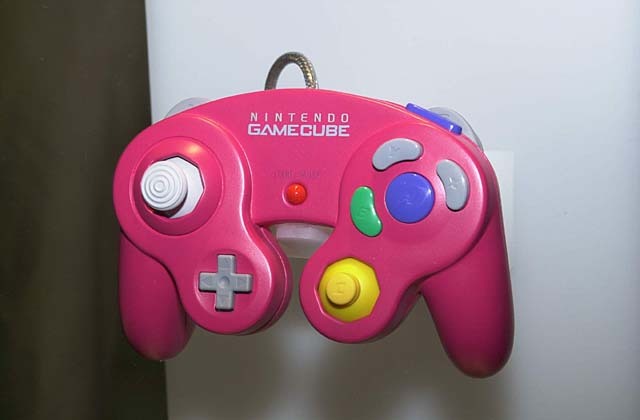 While it is one of the rarest controllers out there, with a very limited run in Toys R Us Japan near the end of the Gamecube's life, it mostly stays on a pretty modest budget. I would only recommend for collectors personally. Only found in Europe, released with a Gamecube of the same colour or with the Mario Striker bundle. It's personally my favorite, being a shiny white. Look around eBay for european countries or online stores around there, you're sure to find one for $70-$80. The story of this controller is quite strange. While a few years ago it could be found for $70, it quickly became twice as expensive and even more as time passed. It was bundled with a Gamecube of the same colour and with Tales of Symphonia. Now that this controller is high in demand, kind of a Holy Grail for most players, it's just not affordable anymore. It was also released in France in a limited run, you could try your chance at finding one over there, like I did myself. (I got mine for $35 and a friend of mine got a full set for $75) Good luck! Here's one I didn't even know existed when I wrote my first guide. It was given away in a contest held in Japan, with a limited run of 150. It looks very similar to a Pearl White, but the plastic itself is colored ivory, which gives the paint a golden sheen. I didn't put a price because of its sheer rarity. If you want to see the comparison pictures, look at this album here. Pretty rare and exclusive to Europe, but its price remained the same for all this time. Comes with a Platinum front shell and Black back shell, it was released with a Resident Evil 4 themed Gamecube and bundled with the game. If you can find one for sale, go for it. 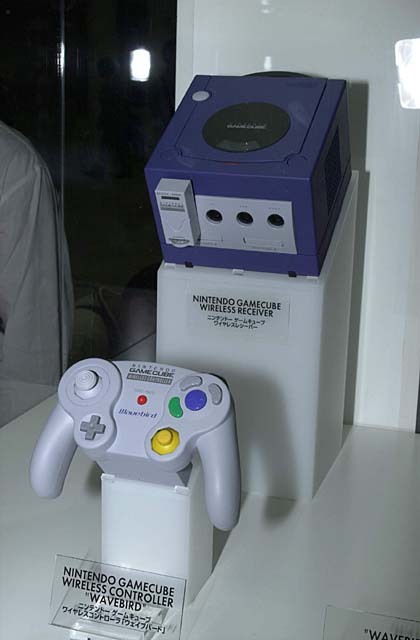 Also one of the two controllers never released in Japan, along with the Pearl White. Released in Japan with a matching Gamecube to celebrate Japan's baseball team victory in 2003, black with the team's logo on the front. Often found around $70, but you can find it for even cheaper on Yahoo auctions. Also one very coveted controller but sadly terribly expensive. It was released in the Char's Customized Box in Japan, themed after the popular franchise Gundam. It came with a red gamecube and a Gundam figurine. The controller itself is pale red with a "Neo-Zeon" yellow logo and a darker red back. The price have only been rising, with prices sometimes reaching $300. Be patient! Released along with the Panasonic Q console very early on, only comes with T1 parts and very fragile. While I would not recommend for competitive play, it's definitely a collector piece. The price has been hovering around $90-$100 in the past two years. Here's a controller I never expected to get so expensive. When Nintendo stopped its production in 2016, the prices rapidly jumped to over $50 a piece, and well over $100 for a boxed one. It's kind of absurd, look locally for people selling their controllers, you can get them for as low as $20. This controller is very common all around the world and in pretty good condition in general. Do not pay the high price for one, this controller feels clunky and has its defect (triggers and general poor parts quality). Same deal as the Black one, but this one is a bit less common. Still, $20 locally, don't pay more than $30. There was a load of those exported from Japan to the US and are very common around here. Both of those are themed after the Super Smash Bros. series with a Smash Wii U logo. They were also bundled with the game. Unveiled at E3 2018 at the same time as Smash Ultimate, it is a great relief for the entire Smash community who was running out of brand new controllers. It is black and comes with a simplistic Super Smash Bros. logo. Available in all regions as of November 2nd 2018 for $29.95 USD. It shares the same internals as the Smash 4 controllers and feels just like one. Released as a prize from Club Nintendo, it is the only one to be released outside of Japan, also available in Europe. Available for 500 points in Japan and 3500 stars in Europe, it seems to have been a very popular prize as it is very common. Themed after Mario, it comes with a bright red front with its iconic "M" logo and a Blue back. Its price has been very stable in the past two years, going for as low as $60. This one a bit more uncommon than the Mario controller, it was available for 500 points from Club Nintendo Japan. Themed after Luigi with a green front with the "L" logo, along with a dark blue back. Its price has been stable in the hundreds range, you can easily find one for this price. A very refreshing design, with a White top crowned with the Club Nintendo logo and a sky blue back. It pops up from time to time on eBay with prices averaging $120, which is a good investment for a flashier controller. It was also offered for 500 Club Nintendo points. While they are not good for competitive play due to lag, they are high in demand in the retro gaming scene. It is often missing the receiver or the battery cover, but sits well at a $40 price range for a fully functioning one. Historically the first OEM wireless controller to touch the market, the quality is there to testify. This one was released all over the world and offered as a promotional item in Japan. The controller is labelled DOL-004 and the receiver is labelled DOL-005. This one was strangely never released in Europe. A Wavebird of a platinum colour, sells for the same price as a grey one. Funny to note, the receiver for the Wavebirds are all grey, with one exception. A Wavebird with a Club Nintendo theme, offered for an unknow amount of Club Nintendo points (I swear I cannot find that information anywhere, I've been looking all over the place.) It is often available for sale on eBay in the $200 range, it stayed surprisingly stable considering the Wario controller went all over the place. Also comes with a grey receiver. To cite Wikipedia: "This could only be bought by members through Club Nintendo Japan. There was a convoluted process to go through before you could purchase one of the 1000 ever produced. First you had to buy the game ‘Mobile Suit Gundam: Gundam Vs. Zeta Gundam’ then register it on Club Nintendo Japan between December 9th, 2004 and January 31st, 2005. Once this was done you could use 1,000 of your Club Nintendo points to purchase the controller." This controller is rare and expensive. With loose ones popping up for $600 on eBay recently, I suspect a full set is worth in the thousands range. Pale red front with the "Neo-Zeon" yellow logo and dark red back. This is the Holy Grail for any collector out there along with that elusive Crystal White. Also, the receiver is pale red colored, making it the only non-grey receiver produced. - My collection and some of my documents. - Big shoutouts to HamarFan for the inspiration. Your article is legendary! - Shoutouts to Kadano for all the work he's done for the GC controller, mostly the capacitor mod. - Thanks to Nintendo for making me waste all this money oof. - Thanks to all of you reading this! - 08.07.2018 Created the thread. - 08.07.2018 Added a grid for different stickboxes. - 09.07.2018 Added a link to purchase the Smash Ultimate Black. - 15.07.2018 Reduced the size of my images since they take 40 years to load. For the full pictures check this album. - 15.07.2018 Removed the spoilers for the pictures to give a chance for those pictures to load... also a bit of restructuring. - 26.08.2018 Updated localization for the Ultimate controller. - 03.11.2018 The Ultimate controller came out! I updated the information. - 04.11.2018 Added a picture of the Ultimate controller. - 18.02.2019 Updated Crystal White with a new picture and stickbox info. Spice Orange now confirmed as T2 too. Excellent guide! I’m starting to collect some in anticipation of Smash Bros Ultimate and your guide will be very helpful. Also, you’ve got an amazing collection! Where did you get your GameCube Controller display stands? I got them from Rosecoloredgaming, I'll dm you a link. Question: Does the Lodgenet and prototype controller count as official products? The Lodgenet is made by Hori, so it's a third party licensed controller. It has the Nintendo logo on it tho. As for the prototype I guess yes? Ah, I could've sworn it was official with all the Nintendo logo and copyright and such. But I guess it wouldn't matter much since the LodgeNet controller doesn't use the standard plug unless it is modded. Is the grey wavebird the only controller with different color (lighter) on joystick and d-pad? Do you have any information about these controllers? I can see its a article from 2000. Pretty awesome. The sm4sh controllers and the White 2008 ones have lighter grey parts too. That's the Holy Grail of your collection right there. Thanks man. The price are insane, but cant wait to get it. It will be a bit more expensive because of taxes to my country. It was a Char on Ebay weeks ago for same price without box. Hey there, since the new controller came out today have you had any time to update the guide? How is it? It feels just like a sm4sh controller. I'll update with a nice picture tomorrow! Since you said the Smash 4 controller feels clunky and has its defect (triggers and general poor parts quality), and the Smash Ultimate is the same as the Smash 4 one, do you recommend looking for an older, used controller instead? Well, it really depends what you're looking for. The Ultimate controller are good enough for competition, but if you're looking for top quality stuff look for a platinum with T3 stickboxes. Actually really lucked out and got my hands on a Symphonic Green GameCube with its matching controller! There's a bit of a story to it: I stumbled across a listing for the console from a French retro games store (so it's the French PAL version. 200EUR. 1 problem. They don't ship to Canada... BUT! Luckily for me, my mom is in Europe rn taking care of her parents, so I called her and asked if it would be ok to ship the thing to their house. Getting it as soon as she gets back! Congrats! Its so nice. Did it come with tales faceplate? I also bought a PAL Tales console with controller from France a month ago. Got it for 130 euro. But it was a bit yellowed. So i bought another set for 130 euro. The shell was good, but when i opened it the metal inside was rusty. So i swapped everything inside, so now i got a nice Tales console.. And one yellowed rusty for sale with controller! Hello again. Are there any wavebird char owners here that could scan the red paper included in box from club nintendo and send it to me on EMAIL? The prices and availability drastically changed since Ultimate's release. I will wait a little bit until it settles down and update accordingly. So is the Indigo with a clear backing the same as the default Indigo in ‘01? Yep, the only difference should be the back shell. The indigo later got upgraded but the indigo/clear stopped production. Not including ASCII and Sammy Conches anymore?